Last Sunday I went to the park for the Doggy Easter Egg Hunt!! We got there just in time for the egg hunt. 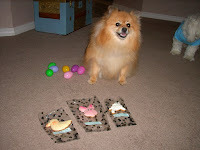 There were colored eggs filled with dog treats. 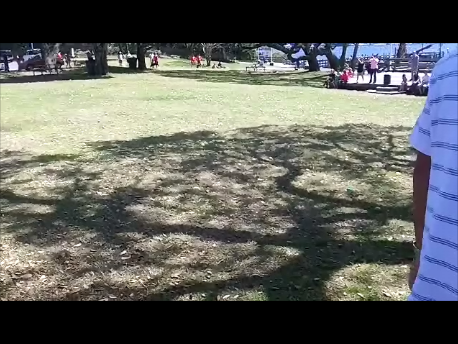 The eggs were spread all over one of the grassy areas. OK, it's hard to see the little plastic eggs, but they are there! BOL! Dogs with their humans were lined up all around the field, waiting for word "go!" After we collected eggs, we walked around the park. 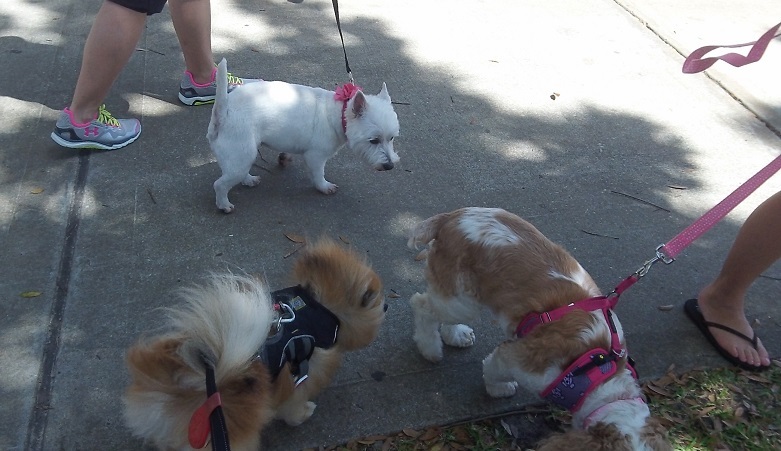 I barked hello to some dogs, marked some grass, and enjoyed myself. I sniffed a few new dogs, and watched the Doxie races! 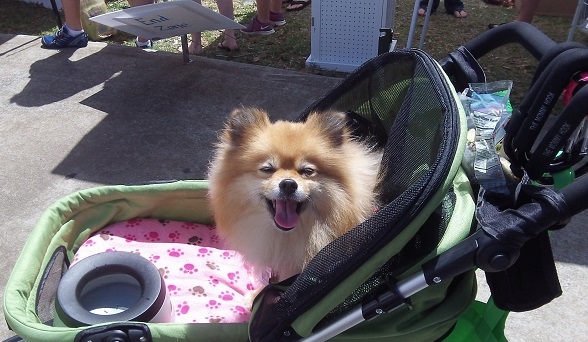 My stroller was the pawfect place to relax, drink some water, and observe the sights. 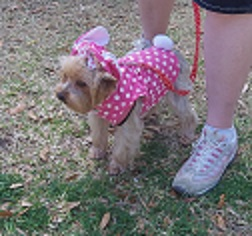 I met the cutest Yorkie Easter Bunny! 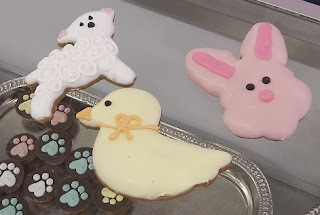 I chose these 3 Easter cookies! We'll see how that works out! BOL!! Have a Happy Yappy Easter Pals!! Happy Yappy Easter to you, too, Pepper!! What a fun time! HAPPY EASTER LITTLE ONE! What fun Pepper! Looks like you found lots of Easter eggs on your hunt! 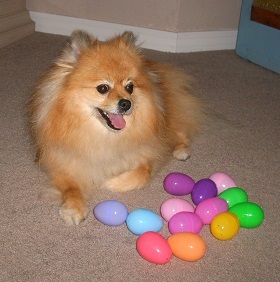 Pepper you certainly had a wonderful time finding easter egs and looks like you found quite a few and those cookies were absolutely darling. I hope it was a FABULOUS Easter, Pepper! You sure look happy in all your photos. 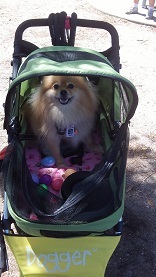 Your such a lucky little munchkin got your own stroller and everything! Happy Easter! The hunt looked like a lot of fun! Baron eyeing your stuff. Did you share?